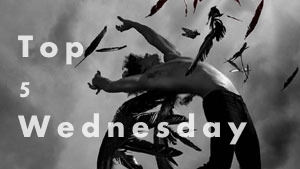 Hello and welcome to my very first Top 5 Wednesday! This is going to be a blast. Today's topic is Books Featuring Paranormal Creatures. This is a great way to start off my T5W, since I love paranormal books and mythical creatures of all kinds. Without further ado, here are my top five picks. 5. 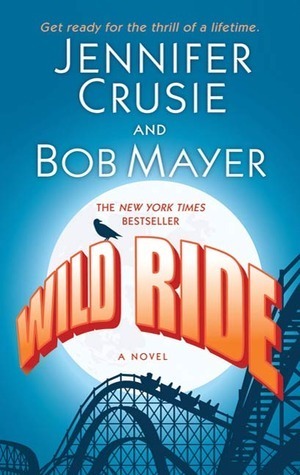 Wild Ride by Jennifer Cruise and Bob Mayer. This was a fun read that I picked up over the summer. Who doesn't like strange things happening at the fair? The creepy creatures in this one were possessed clown statues. Um.. no... I hate clowns. It was a creep fest from the beginning to the end. It was really a wild ride and definitely in my top 5 this week. The wildest ride at Dreamland isn?t the roller coaster. Lots of women think they?ve fallen in love with a demon. Mab Brannigan really has . . . Mary Alice Brannigan doesn't believe in the supernatural. Nor does she expect to find that she?s the newest recruit in the Guardia, an elite team of demon fighters formed centuries before to guard the five Untouchables, the most powerful demons in the history of the world, now imprisoned right there in the Dreamland amusement park. That would be bad enough, but there?s a guy she?s falling hard for, and there?s something about him that?s not quite right . . . Then there?s Ethan Wayne, a former Green Beret who?s come home to Dreamland to die. 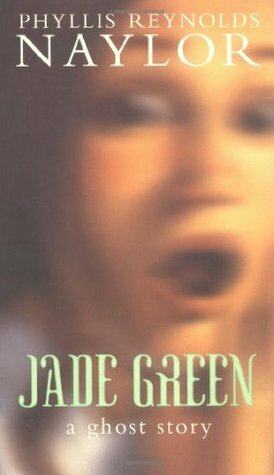 Ethan has his own problems including a bullet in his chest inching closer to his heart, a true love who shoots him on sight, and a mother who drags him into the Guardia after he?s possessed by a crazed killer mermaid demon. Between ducking his mother?s attempts to reform him and dodging the bullets of a secret government agent he?s pretty sure is his soulmate, Ethan really doesn?t have time for demons, touchable or not. But rocky romances and demented demons aren?t Mab and Ethan?s only problems: they?re also coping with a crooked politician, a supernatural raven, a secret government agency, an inexperienced sorceress, a betrayer within the Guardia, and some mind-boggling revelations from their own pasts. As their personal demons wreck their newfound relationships and real demons wreck the park, Mab and Ethan find out that the Untouchables have escaped and opened the gate to hell on earth. Now they?re facing down the Devil himself and finding out what everybody who?s ever been to an amusement park knows: the end of the ride is the wildest. 4. 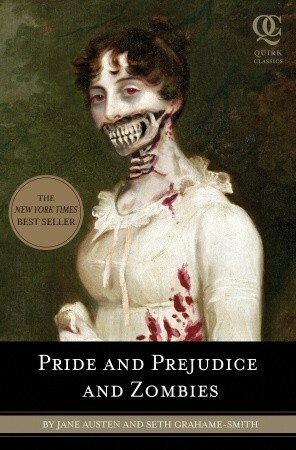 Pride and Prejudice and Zombies by Seth Grahame-Smith and Jane Austen. If you can look past the absurdity of what this wonderful Jane Austen book as become, there is actually a fun story about zombies underneath. Do I really have to tell you what the paranormal creature is in this book? 3. 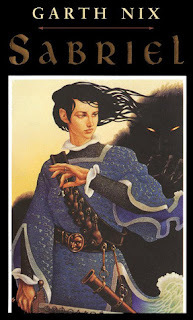 Sabriel by Garth Nix. This author is one of my all time favorites of all time. Sabriel was the first book I picked up of his, and my favorite character was Mogget, the free magic creature trapped in the body of a cat. 2. 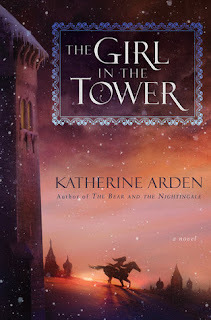 The Girl in the Tower by Katherine Arden. Talking horses. Yes, you read that right. The Girl in the Tower has talking horses among other really cool, but creepy things. This was a great read, but make sure you pick up The Bear and the Nightingale first. The magical adventure begun in The Bear and the Nightingale continues as brave Vasya, now a young woman, is forced to choose between marriage or life in a convent and instead flees her home—but soon finds herself called upon to help defend the city of Moscow when it comes under siege.Orphaned and cast out as a witch by her village, Vasya’s options are few: resign herself to life in a convent, or allow her older sister to make her a match with a Moscovite prince. 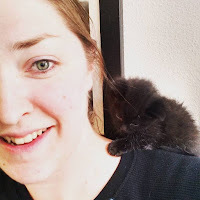 Both doom her to life in a tower, cut off from the vast world she longs to explore. So instead she chooses adventure, disguising herself as a boy and riding her horse into the woods. When a battle with some bandits who have been terrorizing the countryside earns her the admiration of the Grand Prince of Moscow, she must carefully guard the secret of her gender to remain in his good graces—even as she realizes his kingdom is under threat from mysterious forces only she will be able to stop.